Netflix is among the leading fortune 500 companies. Standing at number 379, the company has made its make in the movie industry and if numbers are anything to go by, the company is here to stay. The company specializes in entertainment and it is the first company to offer streaming media and video on demand on a global scale. The growth of the company has been consistent and substantial as it further integrated television and film production and only distribution. 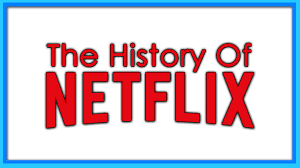 This article provide a history of Netflix since its conception. Netflix Inc. is a global leader in internet television network. Founded in Scotts Valley, California in 1997 by Reed Hasting and Marc Randolph, the company has grown to acquire more than 83 million members who are located in over 190 countries worldwide. Initially the company offered discs on a rental basis where subscribers pay a $19.95 on unlimited rentals. The conditions are that they may not have more than 2 disks at a time. The company has more than 20 regional shipping centers in the United States in an effort of speeding delivery. Once customer’s place their order on the company’s website, the discs are availed to them in a day or two maximum. Reed Hastings and Marc Randolph were technology enthusiasts with prior experience of setting up successful websites. The idea of developing a website where people would rent and buy DVDs at the comfort of their home is would led to the development of Netflix. Randolph had helped in the development of a mail order company while Hastings had founded pure software. To roll out the business, Hastings invested $2.5 million. The company was to take advantage of the small size and weight of the discs which made shipping to customers easy and cheap. The operations of the company started in April 1998 with 925 titles available for renting and 30 employees. In September of 1998, the tables turned in the favor of the company after making 10,000 copies of a DVD where Bill Clinton Grand Jury testimony was covered. The discs were sold for a mere two cents with an additional $2 for shipping costs. As of December the same year, the company relinquished selling DVDs to amazon in exchange for promotion on the website. During this time only one percent of U.S households owned DVD players as they were high end and cutting technology of the time. By January 1999, the company partnered with All-Movie Guide an online movie information provide that directed traffic to Netflix website. A dedicated column was dedicated by Leonard Maltin to promote the must rent movies from Netflix. In July of the same year, Netflix secured a $30 million investment from Arnault group that enhanced its marketing and brand building endeavors. The first initial offering by the company was made in 2000 with an initial common stock worth $86.25 million but later withdrawn as investors became skeptical of the e-commerce model and Netflix’s lack of profit. In 2002, the company hit a target of 500, 000 subscribers and rolled out an IPO raising $82.5 million and was able to pay outstanding debts and promote more. The company hit a million subscribers in 2003 and by 2005, the company was distributing more than one million DVDs by mail daily with over 35,000 titles to choose. Today, Netflix offers a platform where members can watch as much as they want, anywhere and anytime provided they have an internet connection. One can play, pause and resume watching without any commercials appearing and no commitments.